There’s no getting around it. When it comes to live sports, if you can get it on your antenna, you should. The quality of a broadcast TV signal is closer than anything else to the experience of being there, and no amount of post-processing is going to help you gain back what was lost when your cable company got hold of it. Cable companies get the live feeds much the same way you do, with an antenna. Sure, some get a direct fiber optic feed but it’s still the same signal that’s being broadcast out through an antenna. It’s not the ultra-pristine signal that’s captured at the stadium, since there is some sort of compression required for transfer and broadcast, but it’s close. Cable’s the worst because they usually overcompress the signal and even cut the resolution to be able to fit more channels onto the cable that comes into your home. DIRECTV’s system is much better, and honestly their signals are good but still… not perfect. Add to that there’s a short delay while the signal goes up and down to that satellite in the sky, and you don’t want to be the one waiting and wondering why your antenna-bearing neighbors are cheering, do you? Remember, the choice isn’t either/or… whether you have cable or satellite you can still use an antenna. 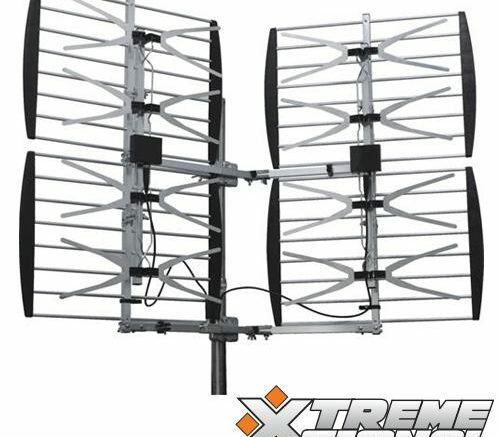 DISH and DIRECTV make it easier by integrating the antenna feed right into the guide, but even without that you can put the antenna wire right into the television and just change inputs from cable to antenna that way. Now fair is fair… an antenna isn’t going to give you every game. For that you need satellite, because they’re the ones who are going to give you every possible game on every possible channel, as long as the folks in the leagues let them (silly blackout rules.) But if you can get it locally you should. You really owe it to yourself to get that perfect in-game experience.